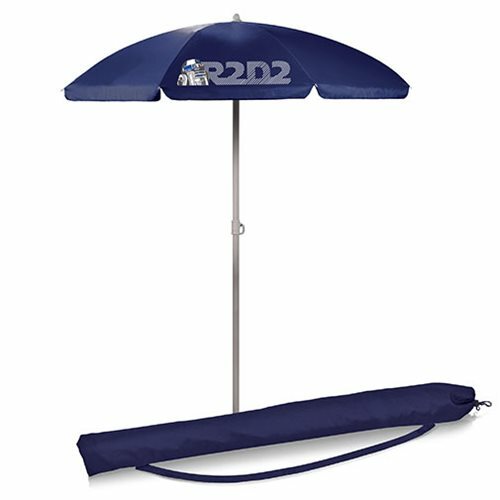 The Star Wars R2-D2 Portable Beach Umbrella is a solid-colored polyester umbrella that is perfect for the beach, camping, spectator sports, and picnics. The pole measures 81 1/2-inches tall and 1 1/4-inches in diameter and has tilting option and a pointed end for easier penetration into sand or dirt. The umbrella measures 5 1/2-feet across and comes with a matching polyester drawstring storage bag with carry strap. 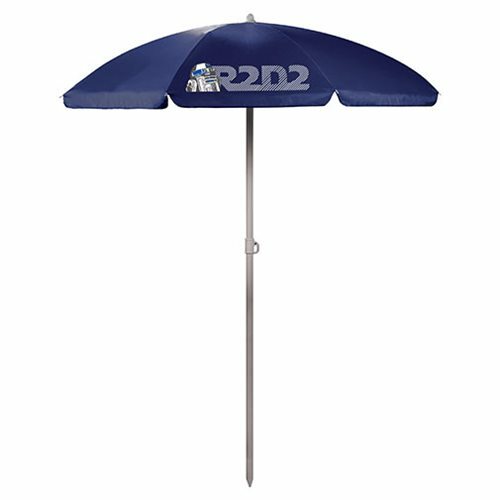 Don't get caught in the hot sun without your Star Wars R2-D2 Portable Beach Umbrella! Measures 81 1/4-inches wide x 66-inches tall.